Days Gone: Why We're Interested in Yet Another Zombie Game | Nerd Much? Like many gamers, I’ve always been a fan of the post-apocalyptic survival genre. And not just in video games, either — movies, books, TV shows, and comics too. But over the past few years, there have been numerous talks about the over-saturation of zombie content. I’m not one to agree with the sentiment that zombie games are played out, but I am always cautious when new zombie games are announced, simply because of the fact that so many zombie games are too alike. DayZ, H1Z1, and even State of Decay are recent examples of similar experiences that come to mind. 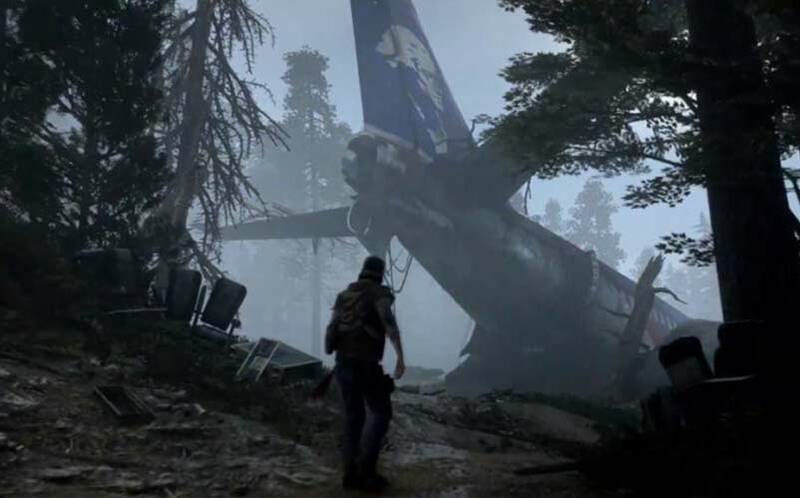 Last night, Sony announced yet another new zombie game titled Days Gone, which will be releasing on the PS4 (presumably exclusively, but we don’t have confirmation for that just yet). And, without even having to think much about it, we’ve added Days Gone to our list of the most anticipated games of 2017. I’m definitely hyped for Days Gone, and somehow, I found myself incredibly interested in yet another zombie game. Why? It wasn’t the first trailer reveal that got me to my current level of hype. Sure, upon first glance at the world, the game looked mildly interesting, and I would like to learn more about it as a fan of the genre (despite the fact that it’s so crowded). It wasn’t until we were shown the Days Gone gameplay at the end of Sony’s press conference that I became so enthused by what I was seeing. Why? Exciting gameplay, fast zombies, and lots of them. It starts out with a character, which we now know is named Deacon St. John (voiced by Sam Witwer), driving around on a motorcycle, stopping only to find two wolves eating someone’s face off. Just minutes later, we’re shown our first zombie horde, and it’s clear that the man is in an absolutely dire situation, entirely surrounded by a massive amount of zombies. After a scuffle with another survivor on a rooftop, the two fall off of the roof and onto the ground below, quickly finding themselves spotted by whatever these creatures are going to be called in the game (zeds, zombies, walkers?). The second man who pushed your character off of the roof is injured from the fall. Then, the game takes another interesting turn. Where most post-apocalyptic games that we’ve seen so far would have your character help that other man up and the two of you would run away to safety, Days Gone takes a more realistic approach, as your character leaves that man for the zombies so that he’s able to make his escape. Of course, the hordes of undead in this game actually seem quite alive, taking a more World War Z (movie) approach — runners! The zombies in Days Gone don’t appear to slow down for anything, either. There’s one moment in the gameplay that shows a massive group of zombies actually breaking a small bridge, and then more zombies just keep coming, one on top of the other, despite the broken bridge. They’re climbing all over each other, doing anything it takes to get that sweet, sweet human flesh. It gives the player (in this case, the viewer) a real sense of danger, which is so hard to achieve in a video game. It made for an exciting debut gameplay trailer, and hopefully, the game will be as formidable. 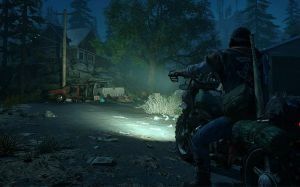 While Days Gone certainly gave off a The Last of Us vibe, it looks like TLOU set in an open world and with more danger. It feels like The Walking Dead survival game that we’ve all been waiting for. What else do you really need? Are you looking forward to Days Gone? Sound off in the comments below with your thoughts! You can also head over to our post containing all of the E3 2016 trailers, including the debut for Days Gone.